(CNS): The crown’s case against Cody McLaughlin (18) and Trent Bodden (30) for mugging two American tourists at Barefoot Beach in East End earlier this year hung in the balance Monday, as a result of the fatal shooting of a key witness. The testimony of 21-year-old Asher McGaw from East End was the prosecution’s main evidence against the two men but he was gunned down on John McLean Drive in September, the fifth murder victim in a spate of gang related shootings. The robbery case was adjourned after the crown read statements to the court from both the mugging victims and the police, leaving the decision over McGaw’s statement in the hands of the judge. McLaughlin and Bodden face one count of robbery in relation to the incident, which occurred 7 February around lunch time on a remote beach in East End. The two men, along with a third co-defendant who has already pleaded guilty, are accused of confronting their victims armed with a knuckleduster and baseball bat, threatening them and then taking the man’s wallet. The victim said in his statement that three men approached him and his wife as they sat on the beach. He stated that they all had their faces covered with T-shirts and one of the men said, “This is a stick-up … give me your money.” At the same time one of the men, who was wearing the knuckleduster, grabbed the victim around the throat. The man gave the robbers his wallet and made it clear that neither he nor his wife had anything else for them to steal. The three men then reportedly went to the couple’s hired car and smashed the window with the baseball bat and stole a Cannon camera from the seat before they fled on foot. The couple, who own an apartment in North Side and who were frequent visitors to the island, reported the incident to the police immediately but they were unable to identify the men as they said their faces were covered. Several men were arrested in two separate operations by police and three men were then charged with the crime in March. Martin McLaughlin (19) pleaded guilty to his part in the mugging and is due to be sentenced on Friday. Both Bodden and Cody McLaughlin pleaded not guilty and elected to be tried by judge alone. Although Asher McGaw had given a written statement to the police implicating the three men soon after the crime, the fatal shooting of the witness before he was due to appear in court to give that evidence publicly prevents the defence from being able to question that evidence. Officials said that the witness's murder is unrelated to the robbery case and 18-year-old Chakame Jamelle Scott was charged with the fatal shooting of McGaw last month and is currently in custody on remand until his trial. McGaw died from multiple gunshot wounds to his head and body, which was discovered on John McLean Drive just behind the district clinic by a police officer on patrol in East End in the early hours of the morning on Thursday 22 September. (CNS): Five Jamaican nationals appeared in court on Monday, charged with drug offenses relating to 785 pounds of ganja recovered in a police operation last week. The ganja is estimated to have street value of $1.25 million and the largest canoe seizure for almost four years. 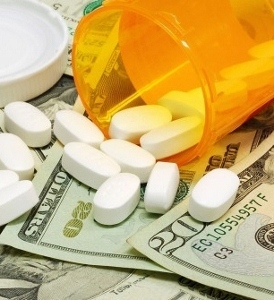 The five suspects have been charged with possession of drugs, importation of drugs, possession with intention to supply and being concerned in the importation of drugs. On Tuesday 1 November marine officers on patrol in the Pedro area stumbled across the canoe which was later discovered to the carrying of the illicit cargo. Police said that at around 2am the Marine Vessels Niven D and Tornado were conducting maritime border patrols along the south coast of the island when they observed suspicious activity. “Officers investigated what they initially thought might have been a transfer of contraband at sea. Upon investigating further the marine vessels observed a vessel speeding away,” said a police spokesperson. All five Jamaican suspects aboard the drug canoe were arrested and the ganja and the boat were seized by the police. (CNS): The former UK prime minister and leader of the British Labour Party Tony Blair will be talking territories, finance and globalization when he visits the Cayman Islands later this month. Blair, who was leader of the UK from 1997 to 2007 and went from charisma to controversy during his time in office, will also be taking questions from the audience when he speaks at the KPMG Legends Tennis Championships charity fund-raising dinner at the Ritz. The limited number of tickets are going for $1600 per head which includes a four-course wine pairing dinner at Eric Ripert’s five star restaurant Blue. Scheduled to speak on Wednesday, 16 November, Blair’s special dinner speech forms part of this year’s Legends Tennis Championships and all proceeds will go to support the Tennis Federation of the Cayman Islands’ local junior tennis programmes and the Cayman Islands Crisis Centre. Michael Ryan, Developer of The Residences at The Ritz-Carlton, Grand Cayman, said he was excited about having a great world leader come down as part of the event. “It really helps the finance community engage and says in the broadest possible way that this is a world-class event that has something that appeals to all different aspects of Cayman’s society and Cayman’s economy,” Ryan stated. Blair will be joining some of the world’s best tennis players of all time, including Martina Hingis, Jennifer Capriati and Mark Philippoussis, as they converge in Grand Cayman for the 2011 KPMG Legends Tennis Championships from November 16 to 19 at The Ritz-Carlton, Grand Cayman. The tournament will begin with the fund-raising dinner followed by the First Round matches of Thursday, 17 November, the Semi-Finals on Friday, 18 November and the Finals on Saturday, 19 November, concluding with the Whites Party. All matches will be played at The Courts at The Ritz-Carlton, Grand Cayman. (Telegraph): The organisers have released details of the 8,000-mile journey that the flame will make, taking in more than 1,000 cities, towns and villages in the hands of more than 8,000 people. As well as traditional relay running, the journey will include modes of travel more akin to adventure sports than the Olympics. Along with flying off the Tyne Bridge on a zip wire, it will be carried in a balloon across Cornwall, down rapids in Hertfordshire, and in the sidecar of a TT motorcycle on the Isle of Man.On other parts of the journey it will go via horseback, bicycle, tram and steam train. The street-by-street detail of the route will be confirmed next year. The stunts are the highlights of the journey that has been designed so that more than 95 per cent of the population will be within 10 miles of the torch as it makes a snaking journey to the Olympic Stadium. 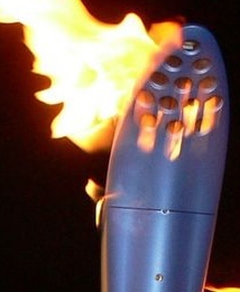 The London Organising Committee of the Olympic and Paralympic Games (Locog) confirmed where the Olympic flame will be carried by torchbearers. 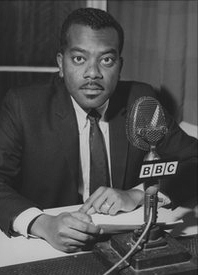 (Jamaican Observer): THE complete archives of the BBC Caribbean broadcasts from 1998 to 2011 have been donated to the University of the West Indies (UWI) to be used by researchers there and the people of the Caribbean. The endowment of more than 3,000 hours of programmes was symbolically presented to the UWI library at a function on its Mona campus last Friday. UWI Vice Chancellor Professor Nigel Harris, in receiving the archives, thanked the BBC for its confidence in the university to house the rich resource of major news stories and developments in the region. (BBC): Hollywood is wrong about aliens. 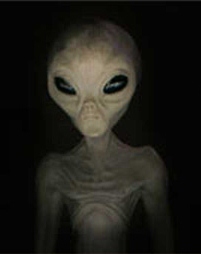 They don't have oddly shaped heads, bulging eyes or even an eery green hue. Dimitar Sasselov is pretty convinced of that. He's not even sure we'll know them when we see them. Prof Sasselov, an astrophysicist, thinks that if life exists elsewhere – and he believes it does – it will likely be based on different building blocks than ours, and so may not even be recognisable as life. A project he's heading at Harvard University, called the Origins of Life, is trying to imagine what life would be like if it were based on different chemicals, conditions and history than we have on Earth. New tools and new data in a range of fields are allowing scientists to get closer to those answers than they ever have before. And major, interdisciplinary efforts like Harvard's Origins of Life project, and similar ones at Arizona State University, the University of Washington, and University College London (which is holding its first symposium on the subject on 11 November), are radically changing the way we search – and what we are likely to find. 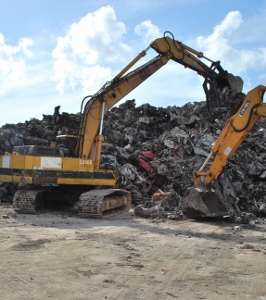 (CNS): The government has managed to sell some 6,000 tons of scrap metal collected from across all three Cayman Islands for $420,000. In the fifth contract in over four years regarding scrap removal, this is only the third time since Hurricane Ivan in 2004 that boats have actually left with scrap on board. The metal was collected and removed by Cardinal D Limited, which also successfully removed the last batch of scrap, paying government $300,000 on that occasion for the same 6,000 tons. The metal, which is mostly comprised of post-Hurricane Ivan cars and other debris, is headed for Tampa-based company, One-Steel. The metal was removed from all three islands by local company Cardinal D, which partnered with the Florida-based scrap-metal recycle company in an exercise that began last Sunday and was completed on Friday, 4 November. Fifteen local independent trucks assisted with filling the 300-foot barge, Winbuild 303, on which the material is being transported. Cardinal D last removed scrap metal in April 2010, three years after previous attempts had been made to remove the Ivan related scrap with the now notorious Matrix company, which defaulted and left owing both government and local companies money. The Cayman-Canadian had signed a contract to pay government $1.2 million for all the post Ivan scrap but it ran into commercial difficulties and its contract was cancelled in 2007 after the company had paid only a quarter of the money it had agreed to pay and leaving behind thousands of tons of scrap. It was not until December 2009 that government was able to attract any interest in the scrap metal after two new requests for proposals received no bids. Cardinal D, which was awarded the contract, removed the metal the following April. In August last year another tendering process saw the bid awarded to Island Builders Co but the company’s partnership with a US firm broke down and the bid was re-tendered earlier this year and awarded to Cardinal in the summer. Deputy Premier Juliana O’Connor-Connolly said the removal of this latest batch of scrap metal will free up space at the George Town landfill. “Not only is having this scrap metal unsightly, it is dangerous to keep around for any length of time because, as Hurricane Ivan showed, debris can fly anywhere,” she added. The scrap metal refers to all processed (baled) metal items including automobiles (such as derelict vehicles), automobile parts, appliances, furniture, fixtures, construction debris and any other items consisting primarily of a metal content, including brass, copper, aluminum, steel, tin, cast iron and any other discarded metal suitable for reprocessing. (Irish central): Lucky Leprechaun may be about to join the ranks of the unemployed. 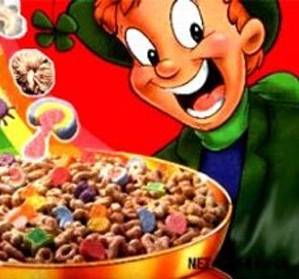 The Lucky Charms icon, who has become a breakfast staple for millions of kids all over America, may be about to lose his job. His catch phrase "They’re magically delicious” to describe Lucky Charms has captivated generations of school kids but now he may be made redundant, or forced to retire. A backlash against sugar-laden cereals had resulted in new moves to halt obesity among kids — and breakfast cereals are the first target. The percentage of obese children between 6 and 11 leaped three fold between 1980 and 2008 and breakfast cereals seen as a major culprit.